Enchanted forests, ski slopes, love, dreams… What’s not to love? 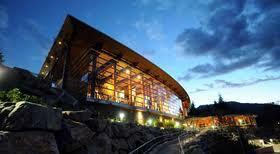 As promised, it is time to give you the private tour of Whistler, British Columbia as a wedding destination. 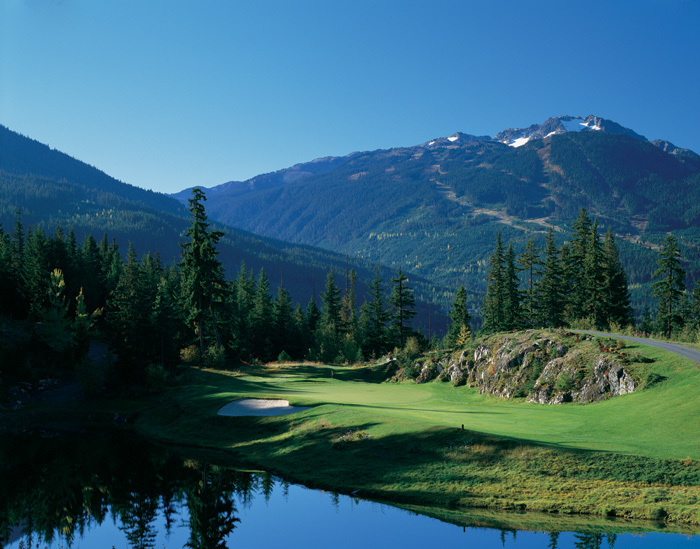 The Four Seasons resort is nestled between the Whistler and Blackcomb Mountains, a breath taking “Sea to Sky’ panorama of mountain and valley vistas. Right when you walk in, the lodge-inspired lobby at the Four Seasons Whistler features timber-beam peaked ceilings, and I especially liked the fireplace, highlighted by its floor-to-ceiling stone hearth. During a private tour of the resort, we were impressed with the amenities available for weddings and receptions. Here are some of the highlights in my view – The Harmony Ballroom, with its sparking dance floor, is great for up to 250 guests and has a pre-function foyer and a heated outdoor terrace for peak views. The outdoor Alpine Cabana offers a whimsical, courtyard setting and is ideal for smaller groups of up to 100. Spectacular forests, glistening glaciers and alpine lakes surround the resort, making it a wedding photographer’s heaven. For the culture-seeking couple, the Squamish Lil’wat Cultural Centre offers over 30,000 square feet of culture rich function space for up to 500. 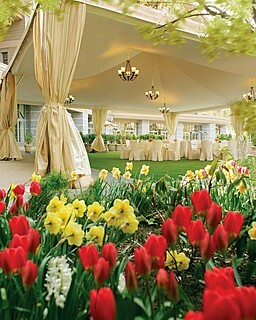 This space is adjacent to the Four Seasons and is an authentic, First-Nations venue that is spacious yet intimate. And, for the adventure seekers, tanaRi can help together a summer lakeside reception, mountain meadow cocktail party or champagne toasts on a glacier which are perfect spots for a magical and picturesque wedding. Coming back indoors, we fell in love with the honeymoon suite which perfectly spacious and romantic. The gorgeous fireplace and bathroom complement the suite to make it a relaxing sanctuary for a couple. 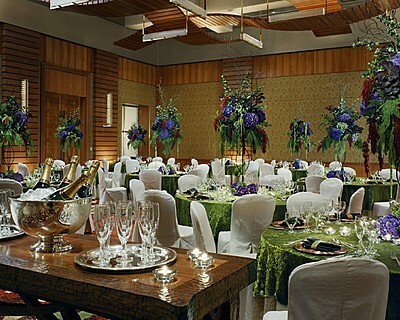 From rehearsal dinners to pre-function cocktail parties and wedding receptions, Four Seasons offers a wide range of cuisines from Italian, Indian, and Mongolian BBQ, to name a few. 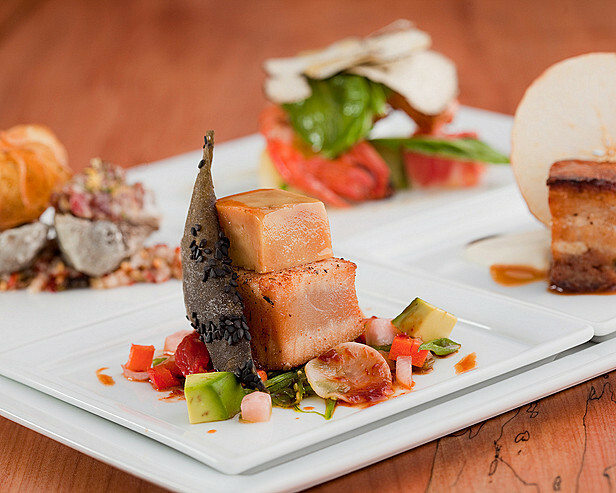 In addition, they also serve regionally inspired cuisine, including prime beef from the grill and spit-roasted game matched by fine local wines. From what we saw, weddings in Whistler are stunningly beautiful, no matter what the season. In short, Whistler is a location definitely worth creating your love story. tanaRi would be honored to be part of that unforgettable celebration. Just got back from a memorable trip to British Columbia and could not wait to share the experiences with you. Though one of North America’s popular year-round mountain destination, I did not know much about Whistler, BC before I saw the awe-inspiring ski slopes during the 2010 Olympic Winter Games. I suspect many of you are with me on that oneJ. 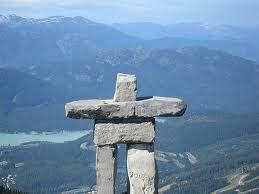 Whistler is a Canadian resort town located approximately 125 kilometers north of Vancouver, Canada. We stayed at The Four Seasons resort, which is one-quarter kilometer from the foot of Blackcomb Mountain and Blackcomb Upper Village. Downtown Whistler and Whistler Village, the pedestrian-only district, are within one kilometer from the resort. 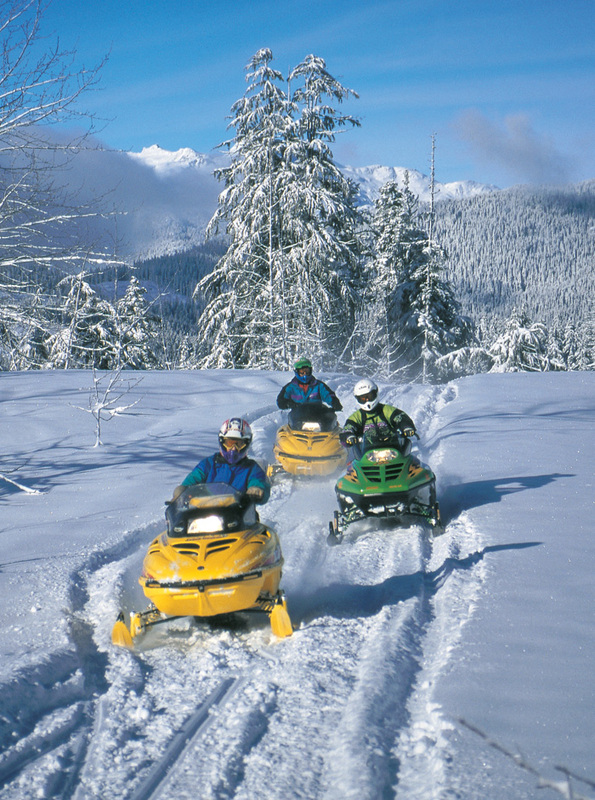 Whether it is winter or summer, Whistler offers year round activities for everyone. One can set out to explore the alpine wilderness with hiking, mountain biking, fishing and white-water rafting. In addition, there are four championship golf courses nearby. Whistler boasts North America’s largest skiable mountain terrain, offering downhill and cross-country trails for all skill levels. You can also try out heli-skiing, snowmobiles and glacier skiing. I especially loved snowmobiling, taking us deep into the backcountry on scenic trails down through forested terrain to spectacular views. It was truly breathtaking. If in the mood to relax, the resort’s pool and luxurious spa are the perfect spots. That said, if you have the time, I would highly recommend that you check out Scandinave Spa. Rated one of the top 100 spas in America, the spa is located just north of Whistler Village. 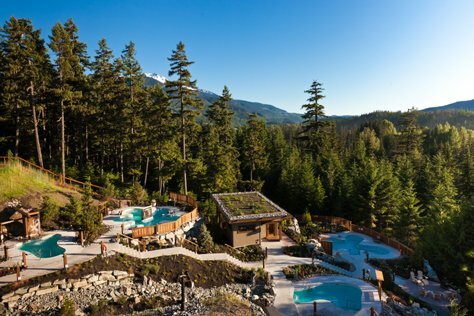 Scandinave Spa, Whistler offers more than 20,000 square feet of facilities nestled on three acres of forested land overlooking mountain vistas on the edge of Lost Lake Park. We had an amazing time during our Canadian getaway and definitely plan on going back. Looking at it through my passion for destination weddings, I must say Whistler ranked high with its natural beauty and amazing range of options for indoor and outdoor events, all year round. That deserves a blog of its own…coming up!